This tutorial takes approximately 90 minutes to complete. Install and configure Pega Robotic Automation Studio on a development system. On a separate system that will run VMs, install and configure Pega Robotic Automation Runtime. For more information, see Configuration of robotic automation for Pega Platform applications. 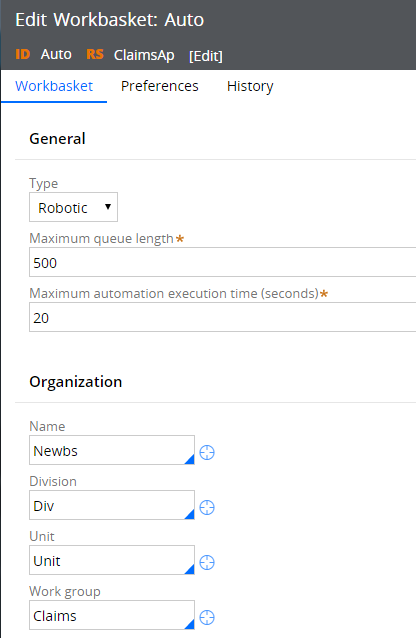 Create automations in Pega Robotic Automation Studio. For more information, see Automation configuration. The class name of the case type that is running the automation. The Pega Robotic Automation Studio developer configures the automation to use this class to retrieve a list of the relevant records that are configured on the case type. The fields within a case type that contain the data that is passed between the automation and your application. These fields must be marked as relevant records. For example, your application might contain fields that users can edit and whose values you want to send to the automation, which then sends the information to all the applications that are running on the desktop (for example, First name, Last name, and Email address). These fields must be marked as relevant records. Fields that you add in Case Designer or Data Designer are automatically marked as relevant records. You can also add other fields (properties) that were created in Designer Studio in the Relevant Records landing page. After the Pega Robotic Automation Studio developer specifies a class name, the automation retrieves the fields that are marked as relevant records, and the developer can select which of those fields are to be shared. You can share scalar data only between your Pega application and an automation. Virtual machines (VMs) must register with the Pega Platform before they can retrieve assignments that are routed to their work queues. After registration, your application can monitor, track, and report on automation activity. Pega Robotic Automation Runtime connects to the Pega Platform and authenticates as the operator ID that registers VMs. After the system runs the logic in the decision table, operator IDs are created for each VM and are registered in Pega Platform. Configuring the work group and work queues. Mapping access groups and work groups. Create a Pega Platform operator ID, which registers the robotic VMs, and whose credentials are also used by Pega Robotic Automation Runtime. 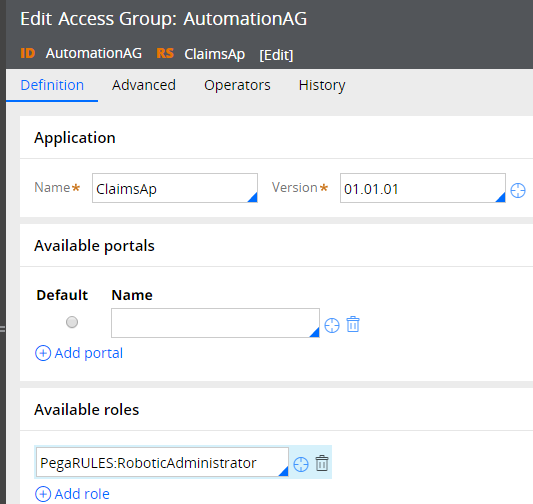 You can assign to the administrative operator any access group that points to your application, but the access group must contain the PegaRULES:RoboticAdministrator role, which provides the minimum privileges required to register a VM. Do not add any other roles or access group to the operator ID. In Designer Studio, click +Create > Organization > Operator ID. Enter a short description and name for the operator ID, and click Create and open. For more information about operators, see About Operator ID data instances. Create an access group for the operator and assign it to the operator. On the Profile tab of the Operator ID form, in the Application access section, click the Open icon. Enter a short description and name for the access group, and then click Create and open. On the Definition tab of the Edit Access Group form, in the Application field, specify the name and version of an existing application. In the Available roles section, enter PEGARULES:RoboticAdministrator in the field. For more information about adding roles to access groups, see Access group form: Completing the Definition tab. On the Profile tab of the Operator ID form, in the Application Access section, click the radio button of the access group that you created for the administrative operator. Save the Operator ID form. Create a work group that contains the work queues from which the VMs obtain assignments. The work group should be associated with a ruleset in your application stack. Click +Create > Organization > Work Group. Enter a short description and name for the work group, and then click Create and open. On the Work group tab of the Edit Work Group form, in the Manager field, enter the operator ID of the manager of this work group. In the Default workbasket field, specify the default work queue (for example, the work queue for your organization) for the work group. Click Save in the Edit Work Group form. 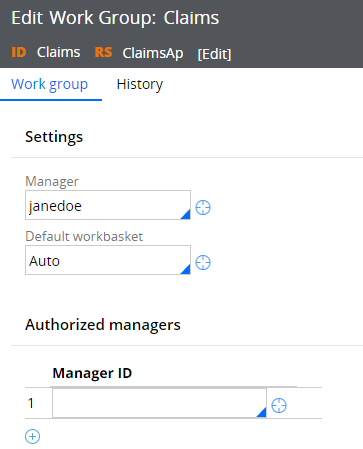 After you create one or more work queues from which the VMs retrieve assignments, you should replace the default work queue with the name of one of the work queues. For more information about work groups, see About Work Group data instances. Create a work queue for each assignment type that you want to process. Click +Create > Organization > Workbasket. Enter a short description and name for the work queue, and click Create and open. 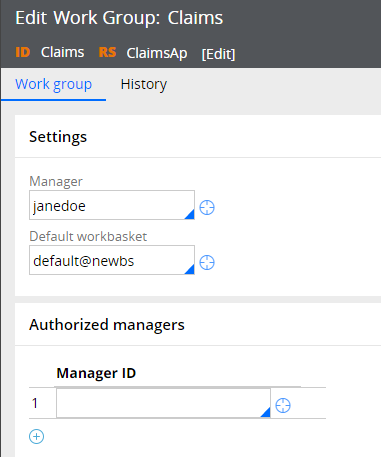 For more information about work queues, see About workbasket data instances. ​Configure the work queue to use automated processing. On the Workbasket tab, from the Type list, select Robotic. In the Maximum queue length field, enter the maximum number of assignments that should be in the work queue at any time. ​If the number of queued items exceeds this threshold, the queue turns red on Pega Robotic Automation Management Console (available on Pega Exchange) indicating that assigned VMs are not keeping pace with the incoming rate of work. You can change this value in Pega Robotic Automation Management Console. If the VM takes longer to run the automation than this value, the VM turns red in Pega Robotic Automation Management Console, indicating that an administrator might need to investigate issues with the VM. You can change this value in Pega Robotic Automation Management Console. In the Name field, specify the name of the organization to which the work queue belongs. In the Unit field, specify the organizational unit to which the work queue belongs. In the Div field, specify the division to which the work queue belongs. In the Work group field, specify the work group to which the work queue belongs. ​Replace the default work queue for your work group with the name of one of the work queues from which VMs retrieve assignments. In the Default workbasket field, specify the work queue to use. Map access groups to the work groups into which VMs register. Click the pyGetAccessGroupForRobotByWorkGroupdecision table in the Pega-Robot-Register class and save it in your application ruleset. From the Add to ruleset field, select your application ruleset. Add the work groups and map them to the access groups that are in your application. For more information about decision tables, see About decision tables. Optional: Configure the heartbeat interval. See Configuring the heartbeat interval. Each VM sends a heartbeat, or periodic message, to your Pega Platform application, to indicate that the VM is still running and available. The default interval is one heartbeat message every 30 seconds, which you can modify. Click Pegarobotics/HeartbeatInterval in the Pega-ProcessEngine ruleset. On the Settings tab, in the Value field enter the interval, in seconds, during which each VM sends a heartbeat to the system. Add and configure the Assign to robot queue shape in your case type. See Assigning a task to a robotic work queue. 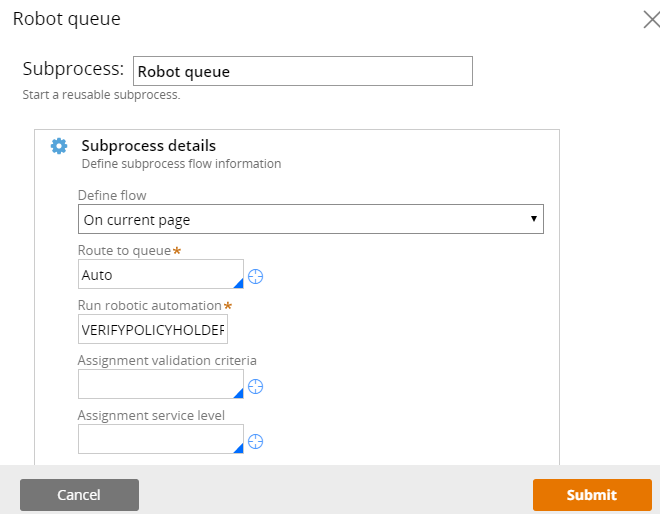 Use the Assign to robot queue shape in a flow to integrate Robotic Process Automation (RPA) with a case. By defining the tasks that a virtual machine can run, you can reduce the need for human input in your application and resolve cases faster. Add the Assign to robot queue shape to your case type. For more information, see Adding a shape to a flow. Configure the Assign to robot queue shape. When you configure the shape, you specify the work queue from which the VM retrieves assignments. You also specify the automation that the VM runs after retrieving the assignment. For more information, see Assigning a task to a robotic work queue.